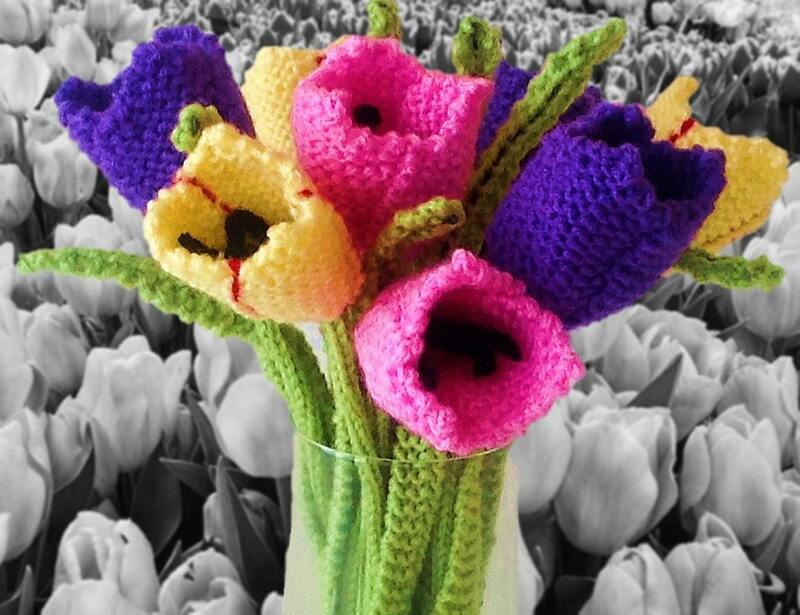 I hope you enjoy knitting these pretty tulips and arranging your display. 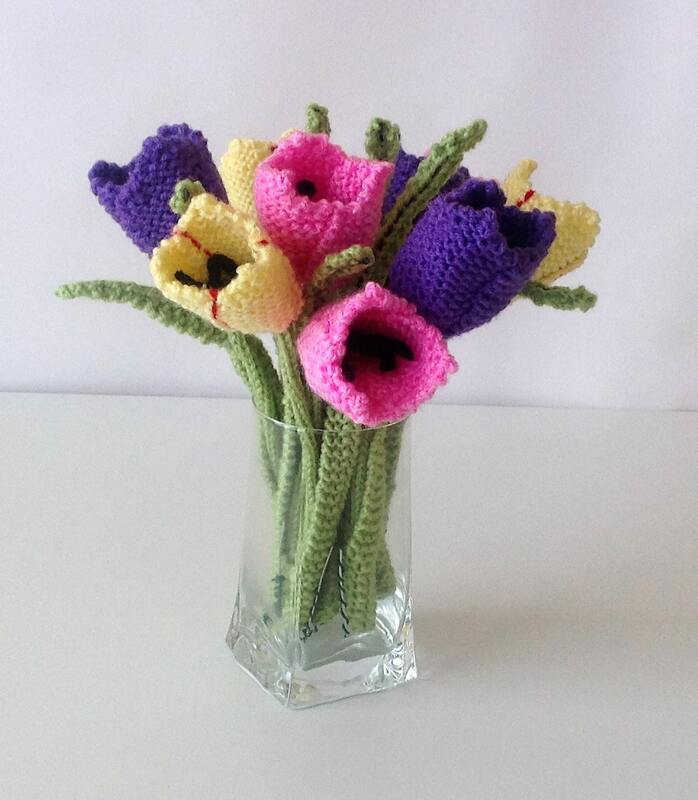 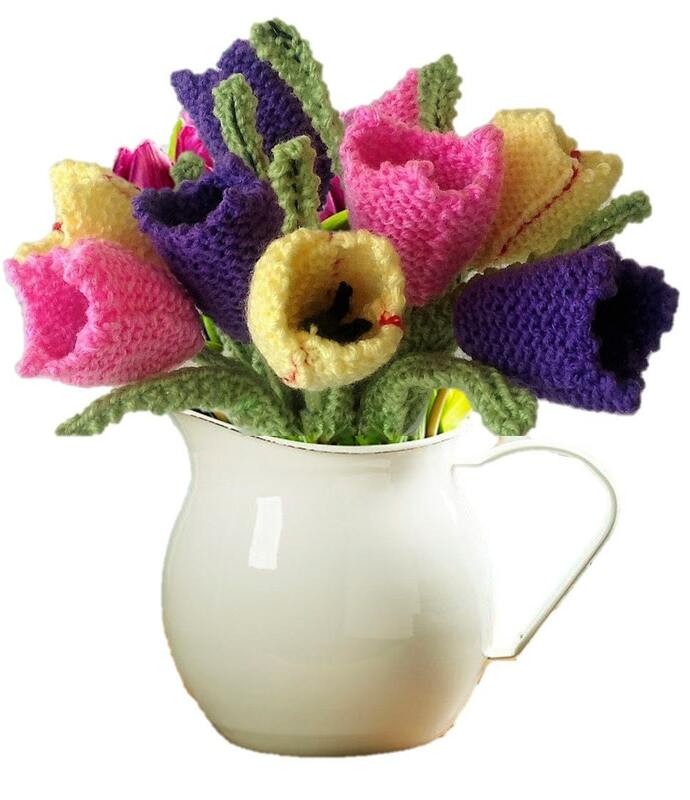 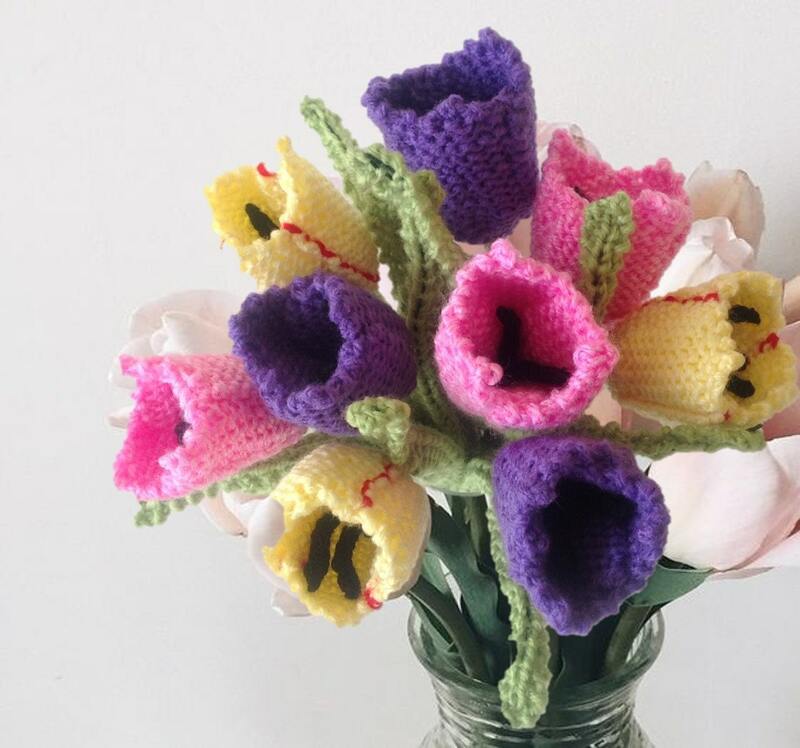 The many advantages of having knitted flowers, of course, is that you don’t have to water them and they stay fresh all year round! 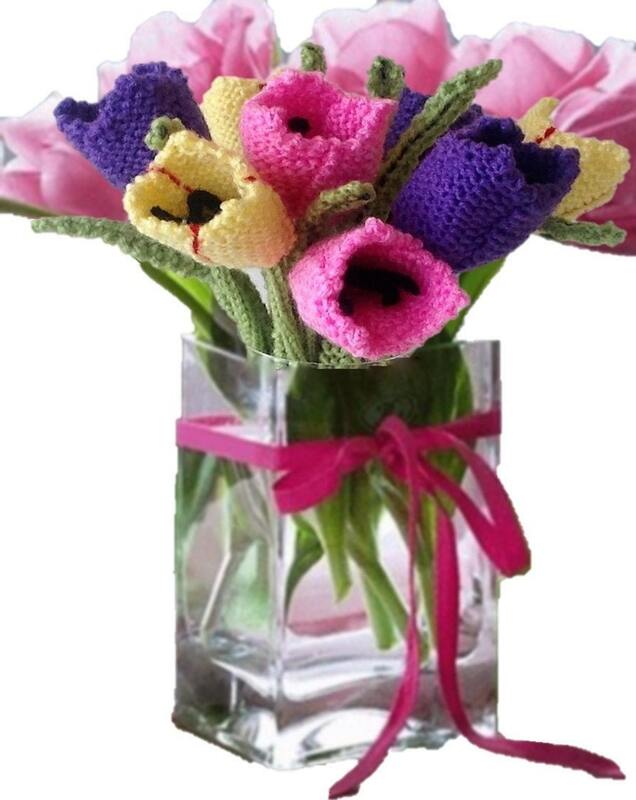 This would make a lovely gift for someone special - you might even want to keep them for yourself!